Artwork Panel: 33.3cm x 136.5cm ≈ 13" x 53¾"
Silk/Brocade: 42.5cm x 196.5cm ≈ 16¾" x 77¼"
Width at Wooden Knobs: 51.5cm ≈ 20¼"
This is a special-edition wall scroll. 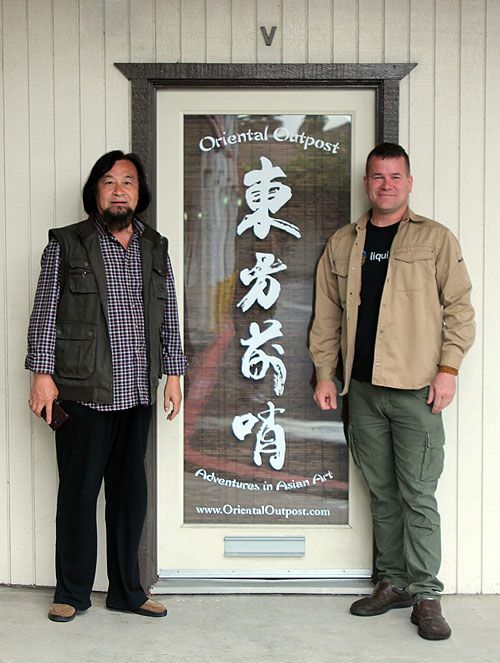 It's written in the ancient "Lishu" style of writing which dates back to the time just before Christ. Had the New Testament been written in China at that time, this is the script/style that would have been used. It should be noted that the Love character at the top of this scroll is a very stylized ancient form. This wall scroll (like most that we sell) is one-of-a-kind! 1st Corinthians 13:4 (NIV) Love is patient, love is kind. It does not envy, it does not boast, it is not proud. 1st Corinthians 13:4 (Basic English) Love is never tired of waiting; love is kind; love has no envy; love has no high opinion of itself, love has no pride. The Chinese translation follows the love meaning, rather than the King James use of "charity". I was a little confused when writing this description with the significant differences between the NIV vs. KJV translations. After speaking to a Greek scholar about this, it would seem that the KJV has an almost errant translation with the use of "charity" in place of "love". We used the only official Christian Chinese Bible that I know of, which is the Chinese Union Version (CUV). The CUV was first published in 1919. We use this so that the Chinese translation would be as accurate and standard as possible. Any Chinese Christian worth their salt will easily be able to identify this verse from the Chinese words on this scroll. The "love theme" of this wall scroll is punctuated by a large love character at the top. The scripture is written below this large love character, read vertically, starting on the right. There is also a citation and the calligrapher's signature in the inscription (smaller characters on the lower left). 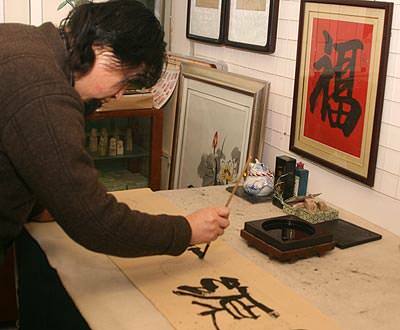 This calligraphy was done my Master Calligrapher Xing An-Ping of Beijing. 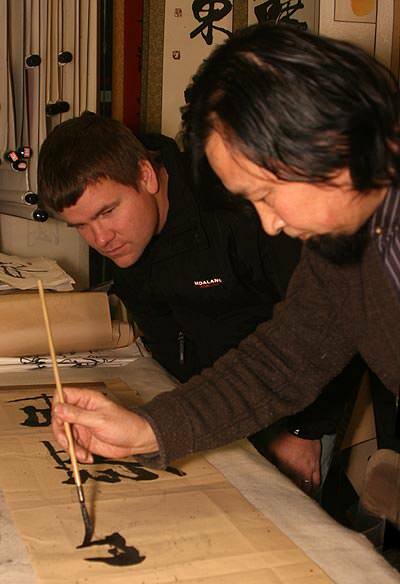 This is a special wall scroll written in the style of script (Lishu) what was widely used in China during the times of Christ (Lishu was the common form of writing until about 220 A.D. in China). We feel it makes this a very special piece for that reason. 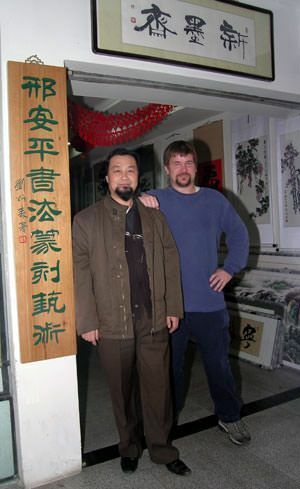 If you would like a different Bible verse created for you on custom wall scroll, please post your request here: Bible Verse Requests for Custom Chinese Calligraphy Wall Scrolls If you just want a very short Bible verse in Chinese, the cost is $49.88 for a custom scroll. But if it's as long as this one from 1st Corinthians, the cost is $69.88 ($40 more if you want it done by Master Calligrapher Xing An-Ping).